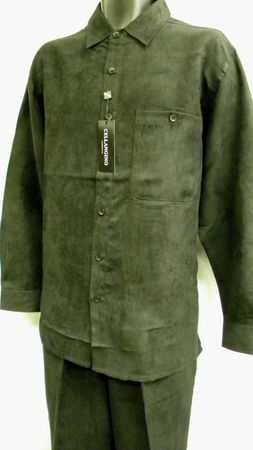 Look well dressed in the right fashion clothing the first time and every time with a black suede outfit by Cellangino. Featuring a matching shirt and pleated pants ready to go to town in style the first time and every time. Fabric is smooth micro fiber.